New Zealand, through its development scholarships, gives people from targeted countries the opportunity to undertake development-related studies. The New Zealand Development Scholarships are excellent, prestigious scholarships suited for people from developing countries who want to study in the New Zealand and the Pacific. NZDS are funded by the New Zealand Aid Programme, and the New Zealand Government’s Overseas Aid and Development Programme. They are managed by the New Zealand Ministry of Foreign Affairs and Trade (MFAT). 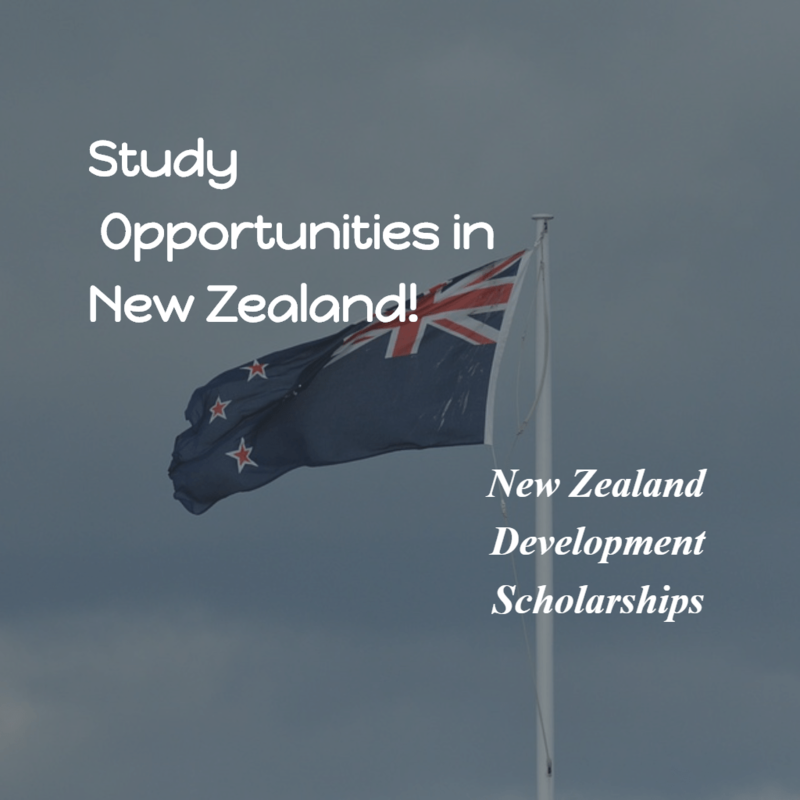 New Zealand Development Scholarships (NZDS) give candidates from selected developing countries an opportunity to gain knowledge and skills through study in specific subject areas, which will assist in the development of their home country. These scholarships foster and build potential leaders, and equip individuals with skills and knowledge that will benefit their home country. Preference is given to subjects in priority sectors that are relevant to the development needs of your country, as listed below. Scholarships are available for postgraduate certificate courses (6 months), Postgraduate Diploma (9 months), Master’s programs (1-2 years) and PhD programs (3-4 years). Assistance with research and thesis costs for many postgraduate research students. Note: Partners of students are eligible for a work visa that allows them to live and work in New Zealand for the duration of their partner’s study. The recipient’s family also gets access to New Zealand health care, as well as primary and secondary education for the children. Every country is different – check your specific country page. Meets immigration requirements for a student visa to New Zealand or the Pacific (i.e. medical checks, etc.). Not have permanent residence or citizenship of the following countries; Australia, Canada, Israel, the United Kingdom, Saudi Arabia, South Korea, the United Arab Emirates, the United States of America, Qatar, Japan, New Zealand or any European Union country. Application processes and timelines can vary depending on the country. Confirm your eligibility – Take the online eligibility test. If successful, you will receive a number that you will use during registration. Create a Real Me Login – you will be given a login name and password to be used throughout the application process. Register with New Zealand Development Scholarships online – registration allows you to set up an application account. Complete your application – Once applications are formally opened, you can begin the application process. Note that you must fill out and submit the application before the country deadline. Submit your application to the local Embassy or High Commission or directly to MFAT before the deadline. 3. A copy of your IELTS test report form (TRF) or original copy of a TOEFL result form. I appreciate your commitment towards ensuring other Africans have a fair chance getting quality education with your scholarship updates. But i noticed your mails arrive way after the application process is closed. I’d appreciate if you expedite your mails to give more value to your readers. Thank you!